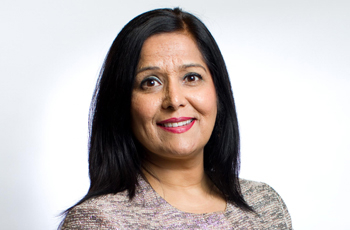 Yasmin Qureshi has served as Labour MP for Bolton South East since 2010. Recently in the June 2017 General Election, Yasmin received 25,676 votes, which equaled a 60.7% majority, retaining her seat. She currently serves as a Shadow Justice Minister. Qureshi was born in Jhelum, Pakistan and moved to the UK when she was nine. She stood, unsuccessfully, for the London constituency of Brent East in 2005. Yasmin has been actively involved in community work for over twenty years with the Citizen Advice Bureau and local law centres. She has been the governor for a college and three schools. She is passionate about public service and firm in her commitment to work for the people of Bolton South-east. Yasmin has worked in the Government Legal Service and the Crown Prosecution Service. She was the Head of the Criminal Legal Section of the UN Mission in Kosovo (UNMIK) and later the Director of the department of Judicial Administration in Kosovo. Yasmin has acted as Human Rights advisor to the former London Mayor Ken Livingstone. She, Rushanara Ali and Shabana Mahmood, elected at the same time, are the United Kingdom's first female Muslim MPs. She won her seat in Bolton South East with a 47.4% share of the popular vote. She is married, lives in Bolton, and practices law as a Barrister from chambers in Manchester.